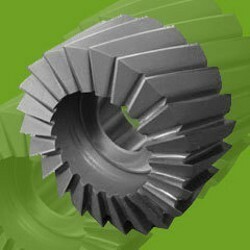 We are instrumental in manufacturing and exporting a comprehensive range of Milling Cutters, which is designed and developed in compliance with set industry standards and norms. These products are manufactured using finest grade raw material, which is sourced from eminent vendors of the industry. Designed with utmost precision, these products are offered in various sizes ranging from 250 mm diameter. Available in plain teeth, helical teeth, staggered teeth & interlocked type, these are also offered in various specifications based on the requirements of the customers. We are instrumental in manufacturing and exporting a comprehensive range of Milling Cutters, which is designed and developed in compliance with set industry standards and norms. 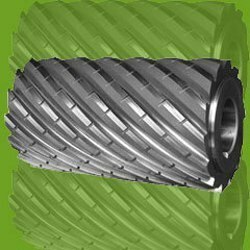 Our esteemed clients can avail from us a wide range of Side & Face Cutters, which is designed and manufactured with utmost precision using excellent quality raw material and advanced machines. 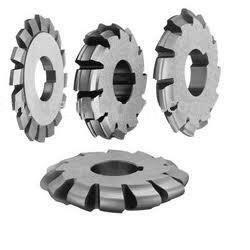 Precision designed, these cutters are widely appreciated for their dimensional accuracy, corrosion resistance, high tensile strength and longer shelf life. Our organization is counted among the foremost manufacturers and exporters of a wide range of Single & Double Angle Cutters. To offer an immaculate range to the customers, we make use of only superior grade raw material and advanced techniques during the manufacturing of the products. Further, to meet the diversified needs and demands of the customers, we design and manufacture the range in varying sizes ranging up to 250 mm diameter. 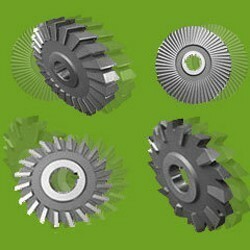 Banking on the experience and expertise, we have been able to bring forward an extensive range of Shell End Mill Cutters. Utilizing excellent grade raw material and with the aid of upgraded machines these are designed and manufactured in strict adherence with the national and international defined standards of the set industry. 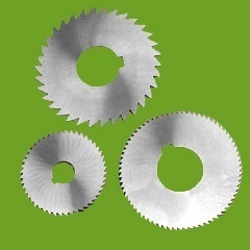 Supported by a team of expert professionals, we have been able to bring forth an immaculate range of Saw Cutters. Our professionals manufacture the complete range utilizing finest grade raw material, which is procured from reliable vendors of the market. Further, the range is subjected to rigorous checks and tests so as to ensure delivery of only defect free products at client’s destination. 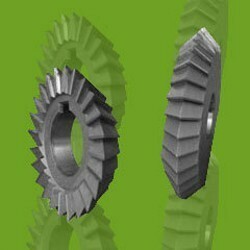 We are engaged in manufacturing and exporting a precision designed range of Scalping Cutters, which extensively used for milling of plain surfaces of ferrous as well as non- ferrous metals. Manufactured using finest quality raw material and advanced machines, these cutters are acknowledged for their efficient performance and longer hassle free working life.